Five-star Accommodations and luxury family hotels in Miami, Florida. There is no doubt that Miami, Florida is a very popular destination. We don’t even have to leave the country to experience beautiful beaches, trendy nightclubs, Latin culture, fancy yachts and the most inviting luxury hotels in Miami. When it comes to Miami, the delight of staying at the top oceanfront resorts is an unforgettable experience. Miami knows best when it comes to elegant modern amenities mixed with historical features. Acqualina Resort & Spa is 5 Star, luxury oceanfront Miami Beach resort set on pristine beaches of Sunny Isles, FL with a 20,000 sq. ft. spa. Plan your escape today. When you stay at Acqualina Resort and Spa in Sunny Isles Beach, you’ll be on the beach and close to Oleta River State Park and Aventura Mall. This 5-star resort is within the vicinity of Promenade Shops and Bal Harbour Shops. Make yourself at home in one of the 98 air-conditioned rooms featuring minibars and espresso makers. Rooms have private balconies. LCD televisions with cable programming provide entertainment, wireless access keeps you connected. Private bathrooms with separate bathtubs and showers feature rainfall showerheads and designer toiletries. Pamper yourself with a visit to the spa, which offers massages, body treatments, and facials. You’re sure to appreciate the recreational amenities, which include 3 outdoor swimming pools, a sauna, and a 24-hour fitness center. This family hotel also features kid-friendly activities in Miami for vacations, concierge services, and babysitting/childcare (surcharge). A unique marine experience found only on our Miami Beach resort’s grounds, our youngest guests will delight in the wonder of our signature “Acqua-inspired” activities and adventures. A new icon, The St. Regis in Bal Harbour is a peerless haven of oceanfront elegance, unwavering taste, and seductive amenities. The St. Regis Bal Harbour Resort, Miami Beach, awarded the coveted Forbes five-star and AAA five-diamond awards for 2017, is a peerless haven of oceanfront elegance, quiet unwavering taste, anticipatory service and seductive amenities. This exclusive Miami Beach enclave is direct across from the celebrated Bal Harbour Shops mere minutes from the whirlwind energy of South Beach, Miami, and the area’s premier events such as the world-renowned Art Basel. Wake in the morning as the gentle breeze of the Atlantic invites you to start your day. Rejuvenate at Remède Spa, with our Wellness Program, or simply stroll along the beach as the ocean caresses the sand. The St. Regis Bal Harbour Resort offers one of the best programs for families in their St. Regis Kids’ Club. Miami Beach’s most exceptional experience awaits for you at The Villa, inside the former Versace Mansion, where unparalleled service and elegant style are sure to please the most discriminating travelers. Luxuriate in one of the Villa’s ten custom guest suites featuring king-sized beds or custom double king beds, custom Italian marble oversized bathrooms with two shower heads, expansive closet space, separate living rooms or sitting areas and balconies or patios. Amenities at The Villa include Frette linens and wifi throughout the property. Guests can find respite inside the walls of 19,000-square-foot Villa or venture steps from the property to enjoy fine dining, shopping, and entertainment. The Villa is your oasis in South Beach. Enjoy exclusive access to The Thousand Mosaic Pool and two private lounges. Worship the sun or gaze at the stars from The Rooftop Lounge. Dine in The Villa’s restaurant, set in the pebble-mosaic Dining Room with a focus on refined continental cuisine, or choose to breakfast or lunch en-suite or poolside. For family hotels, luxury family travel & vacations to enjoy in Miami, Florida. Inspired by our waterside setting and our Asian heritage, Mandarin Oriental, Miami is an urban resort with a sophisticated feel. Our spacious rooms and beautiful suites offer the perfect base for business or leisure travelers. Whether you’d like to swim, learn to cook or just relax, we can help you make the most of your leisure time. Experience warm and elegant surroundings at The Ritz-Carlton Bal Harbour, Miami, one of South Florida‘s most inviting luxury beach resorts. AN OASIS OF TRANQUILITY IN THE HEART OF MIAMI. 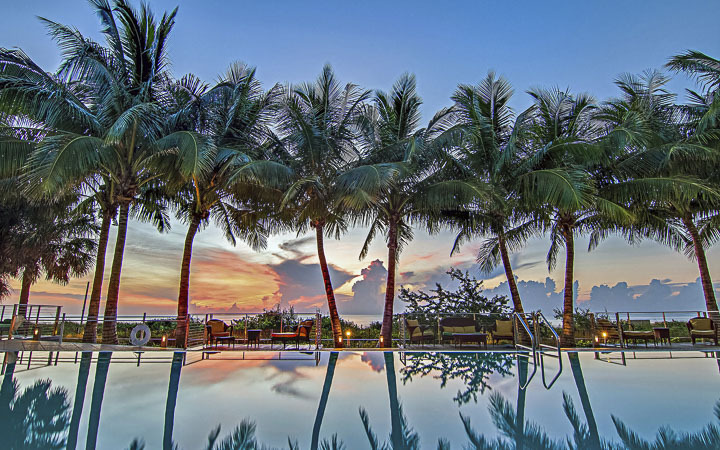 Four Seasons Hotel at The Surf Club is a luxury Miami Beach area hotel with a setting that is both contemporary and timeless, just minutes from Bal Harbour. A vision of 21st-century luxury travel rekindles the old-Miami glamour once favoured by guests from Sinatra to Churchill at Four Seasons Hotel at The Surf Club. Feel the eternal allure of the shoreline while nestled in a private enclave from the brilliance of architect Richard Meier and designer Joseph Dirand. Minutes from Bal Harbour shops and Miami Beach, enjoy expansive ocean views and a style of life that’s infinitely rewarding. The most idyllic location for a private club dedicated to the sea, sun and all things social – that’s what Harvey Firestone and his friends were seeking when they saw the land that would become The Surf Club in the 1930s. They found it in these nine remarkable acres on the Atlantic Ocean. Now, Four Seasons elevates The Surf Club to a new era of glamour. In this exclusive oasis of just 77 guest rooms, sip a signature Mangareva cocktail in a super-luxe cabana, discover serenity in the Spa, clink glasses in the historic heart of the Hotel or hide away in the dreamy landscape with unbridled ocean vistas. One of the best Clubs in Miami is once again a forever-beautiful refuge in the sun. The Setai has consistently been honored with the Forbes Travel Guide Five Star Award since 2015. 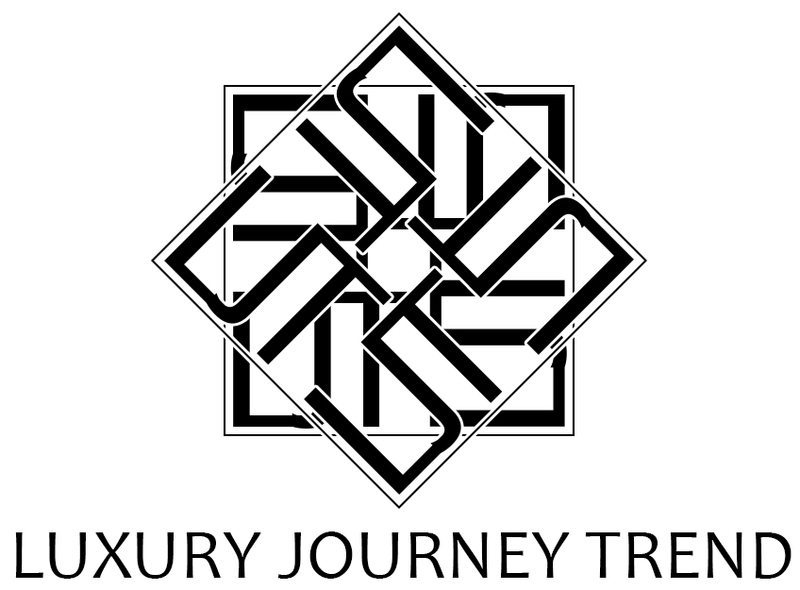 Allow our team to select the ideal list of activities and experiences for you, with services bespoke to your tastes. Chief Concierge Maite Foriasky is a member of the prestigious International Association of Les Clefs d’Or and is your honored ambassador to Miami. Our concierges are available to meet in the hotel lobby or in your suite to discuss all of your needs, preferences, and desires for your experience at The Setai and in Miami Beach. Here are just a few of the rich cultural neighboring venues to explore on your next visit with us. Discover a luxury Miami resort that exceeds all of your expectations at The Ritz-Carlton Key Biscayne, Miami overlooking the breathtaking Biscayne Bay in Florida. 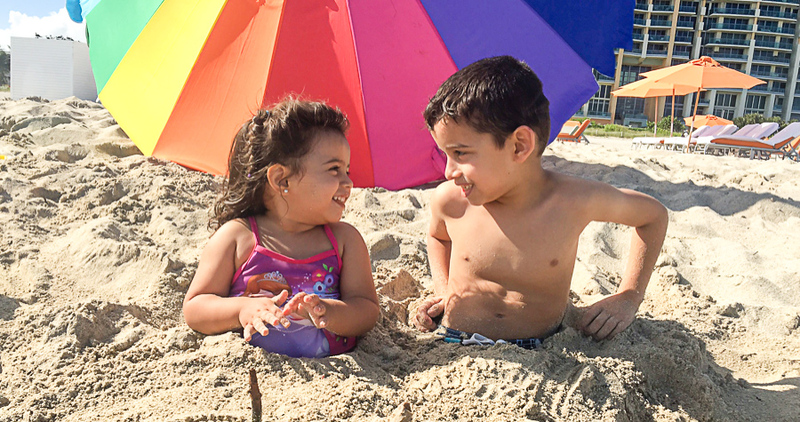 Discover A Beachfront, Tropical Island Oasis At Our Miami Family Resort. Retreat to an island oasis, located just 20 minutes from Miami International Airport, yet is worlds away from the hustle and bustle of downtown Miami. At The Ritz-Carlton Key Biscayne, Miami, the spirit of the Caribbean beckons, inviting you to gaze out at the ocean, inhale the mango-scented breezes and relax in the luxury of our Miami family resort. The Ritz-Carlton Key Biscayne, Miami is one of the most iconic hotels located along the five-mile barrier island of Miami. The resort boasts two pools, a family-friendly pool with cascading waterfall and separate adult tranquility pool for couples and honeymooners, nestled amongst the lush tropical surroundings, making it ideal for both family vacations and luxury getaways. Featuring indulgent nightly tequila tastings and world-class dining in one of the resort’s five-globally inspired dining destinations, The Ritz-Carlton Key Biscayne, Miami will exceed even the most discriminating guest’s expectations. Yet, with the largest tennis center of any Ritz-Carlton worldwide, nearby Crandon Golf Course, full-service destination spa and fitness center, daily Ritz-Kids program, our luxury resort in Key Biscayne, Florida undoubtedly appeals to discerning young guests as well. Your South Beach retreat is inspired by 600-feet of beach on the Atlantic. Designed for comfort, using reclaimed materials, it is one-of-a-kind, naturally. 1 Hotel South Beach is in the heart of Miami Beach, walking distance from Miami City Ballet and Bass Museum of Art. This 5-star hotel is within close proximity of Miami Beach Convention Center and Miami Beach Botanical Garden. Make yourself at home in one of the 426 air-conditioned rooms featuring tablet computers and MP3 docking stations. 55-inch LCD televisions with cable programming provide entertainment. Private bathrooms have deep soaking bathtubs and rainfall showerheads. Conveniences include safes and desks, as well as phones with free local calls. Relax at the full-service spa, where you can enjoy massages, body treatments, and facials. You’re sure to appreciate the recreational amenities, which include 3 outdoor swimming pools, a health club, and bicycles to rent. Additional features at this family hotel include complimentary wireless Internet access, concierge services, and babysitting/childcare (surcharge). Enjoy a meal at one of the hotel’s dining establishments, which include 3 restaurants and a coffee shop/café. From your room, you can also access 24-hour room service. Thirsty? Quench your thirst at one of the 6 bars/lounges or 2 poolside bars. Featured amenities include complimentary high-speed (wired) Internet access, a 24-hour business center, and limo/town car service. Planning an event in Miami Beach? This hotel has 25000 square feet (2323 square meters) of space consisting of a conference center and a meeting room. The Miami Beach EDITION offers the intimacy of a boutique hotel with the luxury amenities of a resort including access to the city’s largest beachfront. Make yourself at home in one of the 294 air-conditioned rooms featuring iPod docking stations and minibars. Your pillowtop bed comes with down comforters. Complimentary wireless Internet access keeps you connected, and cable programming is available for your entertainment. Private bathrooms with showers feature rainfall showerheads and designer toiletries. Pamper yourself with a visit to the spa, which offers massages, body treatments, and facials. You’re sure to appreciate the recreational amenities, which include 2 outdoor swimming pools, a nightclub, and a 24-hour fitness center. Additional features at this hotel include complimentary wireless Internet access, concierge services, and gift shops/newsstands. Featured amenities include a business center, limo/town car service, and dry cleaning/laundry services. Planning an event in Miami Beach? This hotel has 12663 square feet (1176 square meters) of space consisting of conference space and meeting rooms. Self-parking (subject to charges) is available onsite. This 5-star hotel is within close proximity of Bass Museum of Art and Miami Beach Convention Center. Discover your version of well being at Carillon Miami Wellness Resort, where comprehensive spa, wellness and fitness experiences, all-suite guest rooms, breath taking views, and health-minded dining experiences create the ultimate escape. What makes Carillon Miami so special? We are home to a world-class wellness center that integrates spa, fitness, health, and beauty. We offer 200+ exercise classes per week. We have a two-story indoor rock wall and Miami’s only therapeutic igloo. All of our accommodations are comfortably livable suites. Our food and beverage program focuses on nutritious—and delicious—cuisine, including a menu of all-organic cocktails. We offer over 15,000 square feet of indoor and outdoor event space. And tying it all together is the friendly, attentive service that keeps guests coming back. The newly redesigned Loews Miami Beach Hotel offers spacious guestrooms, luxury suites and the best in South Beach dining & cocktails, steps from the ocean. A beloved hotel with an enviable oceanfront location is now even better, following a $50 million renovation. Stay at the redesigned Loews Miami Beach Hotel and enjoy all-new experiences throughout your stay. Welcome to a South Beach Icon, Reimagined. Experience elevated comfort and sophisticated style at the new redesigned Loews Miami Beach Hotel, a true South Beach Icon Reimagined. Each of our 790 guestrooms and suites has been transformed to create an inviting oasis inspired by the sea and sand you’ll find just steps away outside our doors. Each room’s chic design, luxurious beds, and comfortable seating are complemented by modern functionality, including new Smart TVs, in-room Wi-Fi, plus ample USB ports and outlets. Whether you’re here to work, play or simply relax and savor the sunshine, your room is a calm and comfortable South Beach retreat. For an intimate, boutique experience, ask us about rooms in our historic, Art Deco St. Moritz building, an elegant piece of Miami Beach’s iconic history, recently refreshed with all new rooms and wall-length pieces of art. St. Moritz rooms and suites are conveniently located in the same building as our exhale Spa, signature restaurant Lure Fishbar, and new state-of-the-art Kids Camp. DAZZLE YOUR DAYS AND NIGHTS WITH THE ENERGY OF SOUTH BEACH. Whether it’s people watching from a palm-shaded terrace, sipping a handcrafted cocktail from a lounge at the edge of the ocean, or experiencing the mesmerizing Latin beats of a rhythm massage, The Ritz-Carlton, South Beach — located just steps from Lincoln Road — is one of those luxury hotels that deliver the perfect South Beach dream. Named to Conde Nast Traveler’s Hot List and Travel + Leisure’s It List and The World’s Greatest Hotels, Hotel Beaux Arts Miami, a new ultra-luxury brand is a modern private hotel ascending 39 stories above Miami’s majestic skyline. Innovative technology, contemporary design, intimate setting; this masterpiece offers exclusivity and first-class services. Replete with the finest features including the world-renowned Daniel Boulud’s db Bistro Moderne, Mariano Bartolome Indoor Golf School, Enliven Salon & Spa, virtual bowling, and indoor basketball court this Miami hotel is located within minutes of Port of Miami, the AA Arena, and upscale dining. Guests are greeted and receive personalized check-in to one of 44 guest rooms and suites featuring complimentary WiFi, iPad, iLLY Espresso machines with complimentary espresso, lavish bedding and Bang & Olufsen entertainment systems. Complimentary Continental Breakfast daily at the exclusive L’Atelier lounge. Stir your senses with Bang & Olufsen entertainment systems in all guest rooms including a 40″ or 55″ HD LCD TV. Award-winning New York Chef-of-the-Year Daniel Boulud blends traditional French cuisine with American market at db Bistro Moderne. Delano Boutique Hotel, the iconic Hotel that changed South Beach forever. Features exclusive options including restaurant, spa and poolside luxury. With its soaring lobby and subtle seductions, Delano is the hotel that changed South Beach forever. Designed by Philippe Starck, Delano South Beach is a luxury boutique hotel that balances eclectic details with grand public spaces that are playful, elegant, quietly theatrical and filled with all-night energy – proof that the new rules of chic are simplicity with a crisp, clean and modern sense of ease. Delano’s signature South Beach restaurant, Leynia, a dynamic Argentinian Grill inspired by flavors from Japan which features the rustic allure of open flame cooking while Umi Sushi and Sake Bar provide a casual dining experience, perfect for group dining. Sip one of the infamous cocktails and enjoy people-watching at the sophisticated Rose Bar. Miami’s Best Club is the ultimate in poolside luxury, serving meals and cocktails from day to night. Unwind and rejuvenate at Agua Spa, our rooftop wellness center where guests can enjoy traditional spa classics and luxurious pampering. For family hotels, luxury family travel & vacations to enjoy in Miami, Florida. Situated on oceanfront Collins Avenue in the heart of Millionaire’s Row, Fontainebleau Miami Beach is one of the most historically and architecturally significant hotels on Miami Beach, Florida. Its iconic design is a spectacular blend of Miami’s glamorous golden era and stylish modern luxury. A revered Miami Beach landmark for more than half a century, Morris Lapidus’ emblematic curvilinear building sets a new standard for business and pleasure. The 22-acre oceanfront family hotel features signature restaurants by award-winning chefs in Miami; two chic nightlife venues; a two-story spa, a virtually endless poolscape, miles of pristine beach and state-of-the-art conference and event facilities. Even before it opened in 1954, Fontainebleau had a rich history shaped by the rapid expansion of the Miami area and its popularity with celebrities. That same persona lingers on and we have no intention of changing it. For family hotels, luxury travel & vacations to enjoy in Miami, Florida. For the best stay in Miami Beach, choose luxurious accommodations in one of Fontainebleau’s glamorous specialty suites. Designed with smooth sophistication and subtle touches of extravagance, these fashionably styled Miami Beach luxury suites overlooking the Atlantic Ocean or Biscayne Bay will surprise and delight you. Kimpton EPIC Hotel offers stylish guestrooms designed for relaxation and luxury. Escape to the boutique beauty and splendor of our downtown Miami hotel. Miami a sultry escape that is all yours, and we wouldn’t think of spoiling it with anything boring or expected. Which is why all 411 guest rooms and suites at Kimpton EPIC Hotel, a boutique hotel in Miami are designed to both relax and inspire. Take in the views over Biscayne Bay from your perch 18 to 30 floors into the Miami skyline. Wrap yourself in insanely soft Frette triple sheeting. NavigatCe your 55-inch Samsung Smart TV with your iPhone. Contemporary design, custom furnishings, and brilliant details are what make Kimpton EPIC among the highest rated luxury hotels in Miami, Florida. For family hotels, luxury family travel & vacations to enjoy in Miami, Florida.